(NEW ORLEANS)—Thanks to precision agriculture and advancements in equipment and computing technology, America’s farmers are building a treasure trove of production information that will help fuel future innovation. 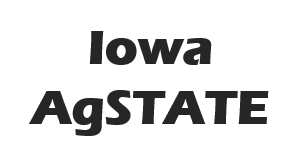 A new organization announced today, the Agricultural Data Coalition (ADC), plans to help farmers better control, manage and maximize the value of their data. The ADC is the result of years of planning and coordination by AGCO, the American Farm Bureau Federation, Auburn University, CNH Industrial, Crop IMS, The Ohio State University, Mississippi State University, the University of Nebraska-Lincoln, Raven Industries, and Topcon Positioning Group. Its goal is to build a data repository where farmers can securely store and oversee the information collected by their tractors, harvesters, aerial drones and other devices. Over time, that data can then be scrubbed, synced and transmitted in an efficient and uniform way to third parties — whether they be researchers, crop insurance agents, government officials, farm managers, input providers or any trusted advisor the farmer chooses. Bechdol says to understand ADC’s platform, it’s helpful to think of it like a bank. Few farmers are currently maximizing their data because the marketplace lacks a viable central repository like the one ADC is developing. Bechdol believes that ADC’s collaborative approach and ability to bring a critical mass to the data bank is what will enable it to succeed and demonstrate value. He explained that ADC is working with farm leaders and farmer-owned cooperatives to ensure the system is organized, structured and positioned to operate in ways that will be most beneficial to growers and encourage farmer use. Farmers interested in learning more about data collection, and organizations interested in joining ADC’s efforts, should visit www.AgDataCoalition.org.